Despite continual efforts from our competitors to paint CrossFit as an extreme, dangerous fitness program, CrossFit Inc. has been to trial to defend itself against personal injury lawsuits only twice. The most recent trial was a rhabdo case in Houston where the plaintiff alleged CrossFit, Inc. was aware of an “extreme risk” associated with “poorly designed workouts” and acted in “indifference” to this knowledge. That case ended in a complete defense verdict in the affiliate’s and CrossFit, Inc.’s favor. The lack of trials isn’t because we like to settle cases quietly behind the scenes, but because there simply aren’t many claims against us. CrossFit also has a history of obtaining summary judgment in its favor- which is essentially a determination by the court that CrossFit, Inc. is not liable for the alleged injury as a matter of law and that no trial is needed. CrossFit’s Risk Retention Group also presents a formidable deterrent against specious personal injury claims. When one arises, the RRG prioritizes vindication of the affiliate and the CrossFit program above saving money. In other words, we are willing to spend far more than the case is worth defending the brand name our affiliates rely on. And we are willing to take this risk and go to trial knowing that jury verdicts are never certain. In the recent case of Barrish vs. CrossFit Inc., a Missouri jury found the plaintiff 50% liable for his own injury, and found both the affiliate and CFHQ 25% liable. If this breakdown sounds odd, it should. The jury should have never found liability against CrossFit Inc. or our affiliate. There was zero evidence of any negligence on the part of either entity, and overwhelming evidence that the plaintiff was personally responsible for his injury. Missouri is also “a comparative negligence” state, meaning that plaintiff could still recover damages even though the jury found him twice as liable for his injury than all the other defendants. Even though the verdict against CrossFit, Inc. was $100,000 (the plaintiff asked the jury to award almost 10x that amount) we will be appealing this ruling, and we have good reason to believe justice will prevail. In 2012, Jonas Barrish showed up late to class at his local CrossFit affiliate. His coach instructed him to perform a modified workout involving 165 pound deadlifts on his own. Barrish, who had been training at the affiliate for 5 months, disregarded these instructions and decided instead to attempt a 1-rep max on the deadlift. Soon after, Barrish had deadlifted a new personal record of 300 pounds. Once his coach saw this, he instructed Barrish to stop lifting for the day and take the weights off the bar. Ignoring his coach completely, Barrish decided to load the bar to 350 pounds, and subsequently hurt his back attempting the lift. Barrish later filed suit against the affiliate and CrossFit, Inc. to recover money for past and future pain, suffering, and economic damages “in an amount in excess of $2,000,000.” He claimed the affiliate was negligent for not properly training him on the execution of the deadlift and for encouraging him to lift 350 pounds. Both claims were contradicted by all witnesses. Barrish also claimed CrossFit Inc. was negligent for including the deadlift in our program, failing to properly train our affiliates in how to “safely implement the deadlift,” and failing to warn Barrish of the dangers “associated with the improper execution of the deadlift.” The only evidence supporting these claims were the plaintiff’s own opinions after the fact. The plaintiff disregarded the clear instructions of his coach, and should take full responsibility for his doing so. The defense even presented a neutral witness who saw Barrish disregard his coach. The deadlift is not only relatively safe, it is a natural functional movement preformed in daily life. Not training the deadlift is more dangerous than training it. CrossFit has developed and disseminated more information on the proper training and execution of the deadlift than any organization in history, and the CrossFit L1 course is the only accredited course in existence that requires participants to physically perform the deadlift as part of their instruction. The coaches at this specific affiliate were more than qualified, and had properly taught the deadlift to Barrish. Barrish claimed a debilitating back injury but also admitted that he hiked mount Masada shortly after the injury occurred. 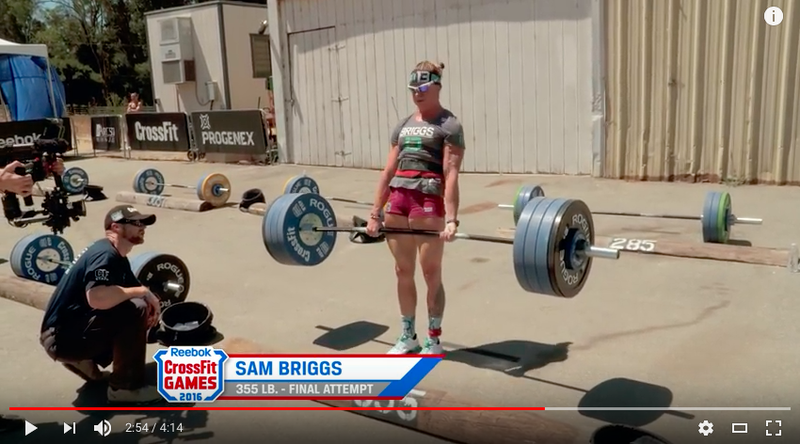 2016 Reebok CrossFit Games athlete Sam Briggs deadlifting 355 pounds. This is exactly 5 pounds above the weight Barrish was attempting to lift when he injured himself, and exactly 355 pounds above the weight he would have been attempting to lift had he followed his coach’s instructions. So why did the jury find CrossFit and our affiliate both 25% at fault for the plaintiff’s injury? I was deposed in this case, and was called as a witness during trial to defend CrossFit’s Training Department. My assessment of the case and our lawyer’s post-trial interview with a juror give a consistent answer: An unprofessional judge and a complacent jury. It was only later that we learned that Judge Torrance has been repeatedly accused of being unfit to serve. In 2009, Judge Torrence presided over the sentencing of Jarred Elwood. Elwood who was found guilty of sexually abusing a young girl for eight years, beginning when she was only 5 years old. Torrence sentenced him to probation, making national news. 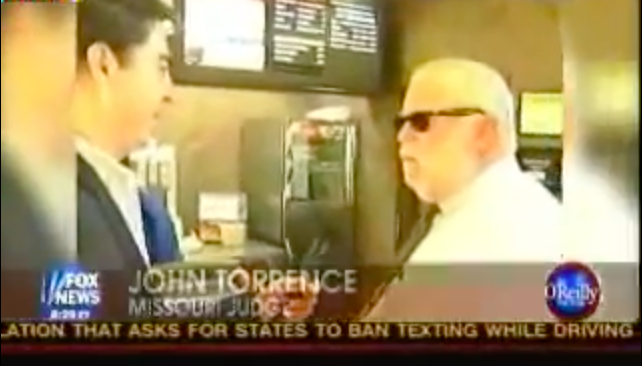 He refused to explain himself, leading to this public confrontation broadcast on Fox News. In 2008, Curtis Mertensmeyer was driving drunk with his friends, crashing into the car of Daniel Riemann with enough force to sever his legs. Mertensmeyer fled the scene of the accident, while Riemann bled out and died. Mertensmeyer then abandoned his car and only turned himself in days later, after other passengers in the car did first. Judge Torrence sentenced Merensmeyer to 120 days in the prison’s admittance unit, after which he was released on parole. Riemann’s family has an online memorial documenting the injustice and absurdity of Judge Torrence’s actions. In 2012, Torrence presided over the case of Charleatha Nevins, who shot and killed her husband after a dispute over a credit card. Nevins was charged with 2nd Degree murder, but Torrence sentenced her to only 120 days in a county detention center, shocking both the prosecution and the family of the victim. Torrance refused to explain himself. Not surprisingly, the Jury followed Judge Torrance’s lead. While a few of the jurors slept almost continuously through the trial, the majority were alert and interested. We also spoke to jurors following the verdict. From these interviews, we learned some interesting information about the jury’s deliberations. For example, at the beginning of deliberation, 4 of the jurors wanted to assign 100% of fault to Barrish himself, 2 wanted to assign 33% to each party, and 6 were totally undecided. A few hours into deliberation, the jury recognized that compromise was necessary so that they could go home and not have to return to court on Monday. This became the driving factor in the deliberation. Considering the judge presiding over the case consistently made the same type of comments during the week, this is not shocking. The jury also did not care about the factual dispute as to whether Barrish was told to stop lifting. We also learned that all the jurors believed that the two coaches at the affiliate on the day of the injury were qualified, that the deadlift is a good exercise, and that the deadlift was taught properly by CrossFit, Inc. There was apparently no discussion about CrossFit being an “extreme” sport. In short, we believe the jurors took their cue as to what constitutes justice from Judge Torrance, and saw an even split of fault 50%-25%-25% as a way to secure compromise from 9 of 12 jurors and go home. Everyone lost in this trial, and it had nothing to do with the facts of the case. Judge John Torrance appears, from my own experience in the courtroom, to be completely unfit to serve. His desire to speed along the case and berate all of the parties involved was clearly transmitted to the jury, who chose expediency and compromise over justice. CrossFit Inc. is going to appeal the decision and it will continue to vindicate its rights and defend against Barrish’s claims and anyone else who would seek to blame CrossFit, Inc. and our affiliates for their own wrongdoing. I met you RG in the HQ box at the colosseum in Madison. Nice chat. This case should be strongly defended on clinical grounds as well as a non compliant member. Im a spinal neurosurgeon and i operate on spinal disc prolapses every week. Not one has been from deadlifting and not one has been a CrossFitter to date in my nearly 25 years in the industry. CrossFit is merely association not causation in this fellows claim. He may also hzve eaten carrots that day too…but doesn’t take action against the grocer. People have heart attacks too but CrossFit is not causation of an MI. Its a slippery slope of unfavourable precedent that should be defended vigorously with expert clinical testimoney. Happy to help as a CrossFitter, Box Owner and consultant neurosurgeon. Thank you for sharing your thoughts. The facts of this case were clearly on our side, and the ruling is currently being appealed. We are hoping that common sense and justice will prevail.